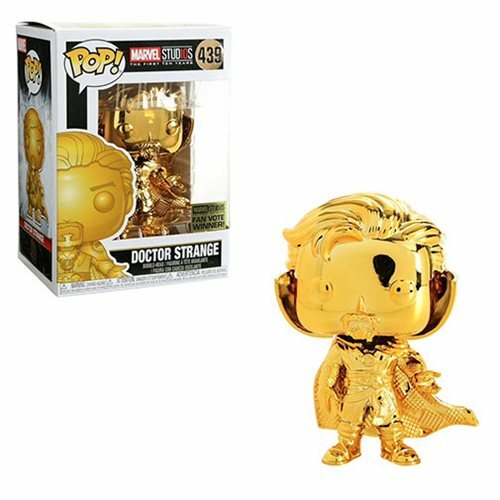 To celebrate 10 amazing years of Marvel Studios films, Funko has created a series of gold chrome Marvel Pop! figures to commemorate the first decade of the Marvel Cinematic Universe. This Marvel Studio's 10th Anniversary Chrome Doctor Strange Pop! Vinyl Figure #439 measures approximately 3 3/4-inches tall. Comes packaged in a window display box. Ages 3 and up.